Painting a spot of gold. Finished table cards for a Lithuanian wedding. 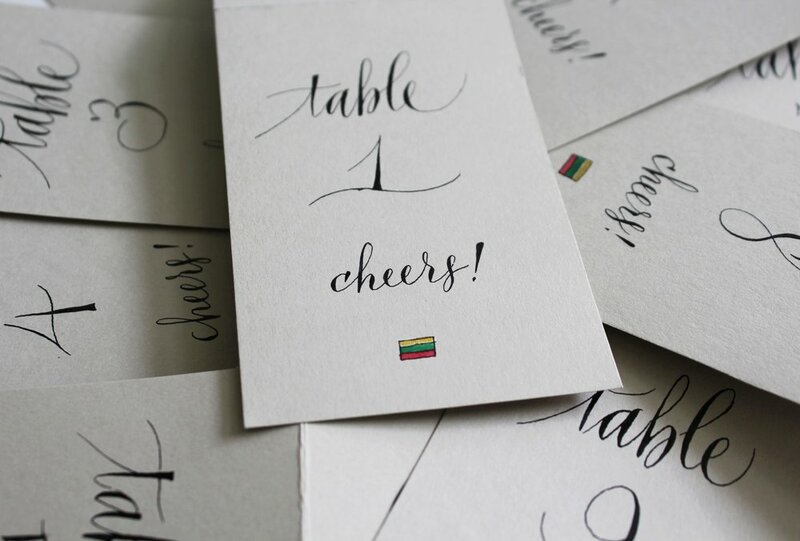 Washington, D.C.—A wedding client asked me to paint little Lithuanian flags on her wine bottle table cards. It's amazing how a little bit of color (especially when dispatching some Finetec gold) can add the right touch to an already whimsical piece.